Inter-Library Loan (I.L.L.) 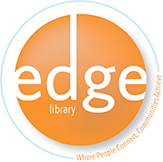 is a service in which libraries throughout Texas borrow books and materials through the TexNet Interlibrary Loan Referral Center. TexNet is a statewide interlibrary loan network managed by the Texas State Library and Archive Commission. It embodies academic, public and special libraries throughout Texas to promote resource sharing and provide greater access to information for all Texans. The Interlibrary Loan Program enables Robert J. Kleberg Public Library patrons to borrow materials not available locally at the library. 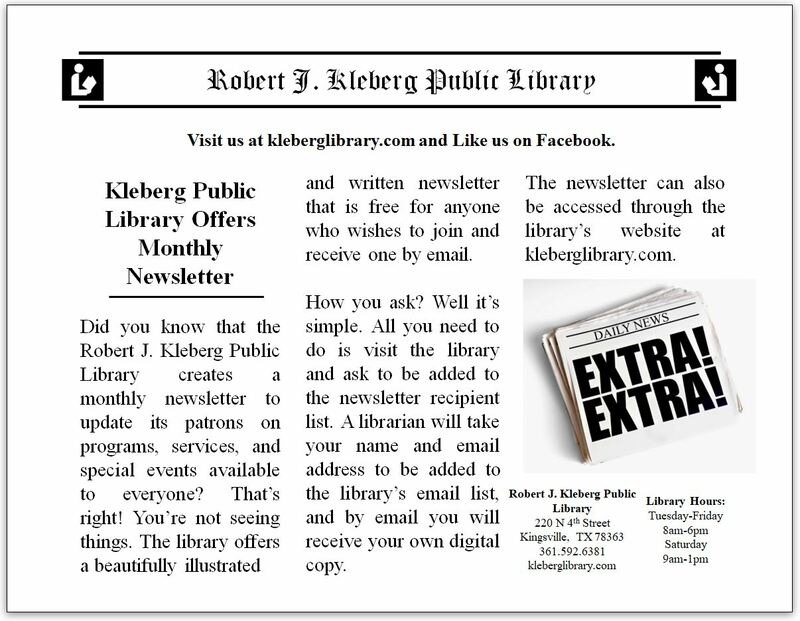 Any adult patron who has a valid Robert J. Kleberg Public Library card in good standing can use Interlibrary Loan. You must present your current library card every time you pick up any Interlibrary Loan material. Use Interlibrary Loan when you want a specific book or article that your local library doesn't own. Or, use it to borrow materials on a subject when you want more information than your local library can supply. Patrons need to place their requests at their local library. 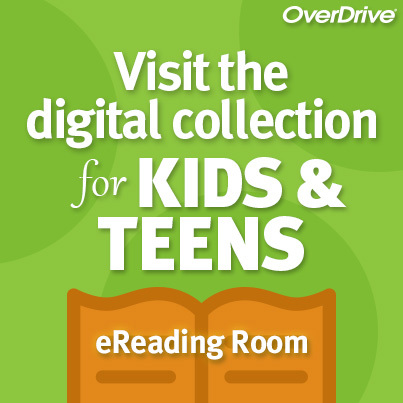 Is there anything you can't borrow through Interlibrary Loan? A/V materials such as: DVD's, Books on CD's, Books on cassette, microfilms, video tapes and Bestsellers (less than 12 months) - because all the other libraries have checked out their copies, too. "Hot Topics" - sometimes a book may not be a bestseller, but because it has just been made into a movie or TV show, there is a high demand for the book. Also, items such as Local History/Genealogy materials or Reference items are not loaned. Certained paperback titles can't not be ordered because some libraries do not catalog their paperbacks and therefore would not be available for loan. Sometimes a library will limit the number of items you can request at one time. For example, you may be limited to three magazines articles for a research paper, or three books on dinosaurs. Interlibrary Loan can't do genealogical research for you. However, we will accept a request for a specific genealogical title and attempt to locate a library that owns it. Most genealogy material isn't checked out to patrons, so it would help if you indicate specific pages or names to be photocopied. Photocopy requests of this nature are sometimes honored. That depends! The material will be mailed from the lending library to your local library. This usually takes two to three weeks. Will you have to pay a fee? Most of the time, the Lending Library will charge for postage, insurance (if required), or photocopies of magazine/newspaper articles. The Reference Librarian may ask you how much you are willing to pay when your request is taken. And, as usual, if you return the material after the due date or if you lose it, you are responsible for any penalty fines, fees and/or replacement costs. Who do I need to see to start using the Interlibrary Loan Program? Please see the Reference Librarian during regular business hours, or call the Reference Department at 361-592-6381 if you have any other questions.